Rotherham United’s FA Cup tie away at Manchester City on 6th January will see the Officials use Video Assisted Referee technology – otherwise known as VAR. 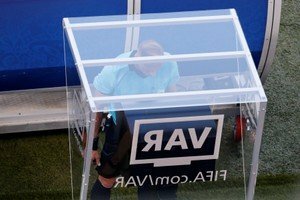 This will be the second time this season the officials at a Millers game will be able to use the VAR, which was made ‘famous’ or ‘infamous’ in the World Cup in the summer, the first time being in our League Cup game at Goodison Park against Everton. I’m almost certain it wasn’t called for in that game – unless anyone else has a better memory than me! I’m not saying there shouldn’t be technology in football as I think the game has come far enough to be able to use it, but what I would like to see is that the fans are kept informed straight away (or as soon as the referee decides to use it). This would have to be via the ‘big screen’ at the grounds (although the one at Hillsborough wouldn’t be much good for visiting fans as it faces away from them). I’d like to see the big screen say ‘VAR in progress’ or words to that effect. I’d also like to see the incident on the big screen too, but I’m doubting that will happen (although they do that in rugby). What I’d also like to see is that once the decision has been made it’s final, any player then arguing with the officials should be booked. That should make it a little quicker I’d think. I know the VAR is a little like Marmite with some people loving it and others hating it so what camp are you in?